Want to help your child get the most out of each story? 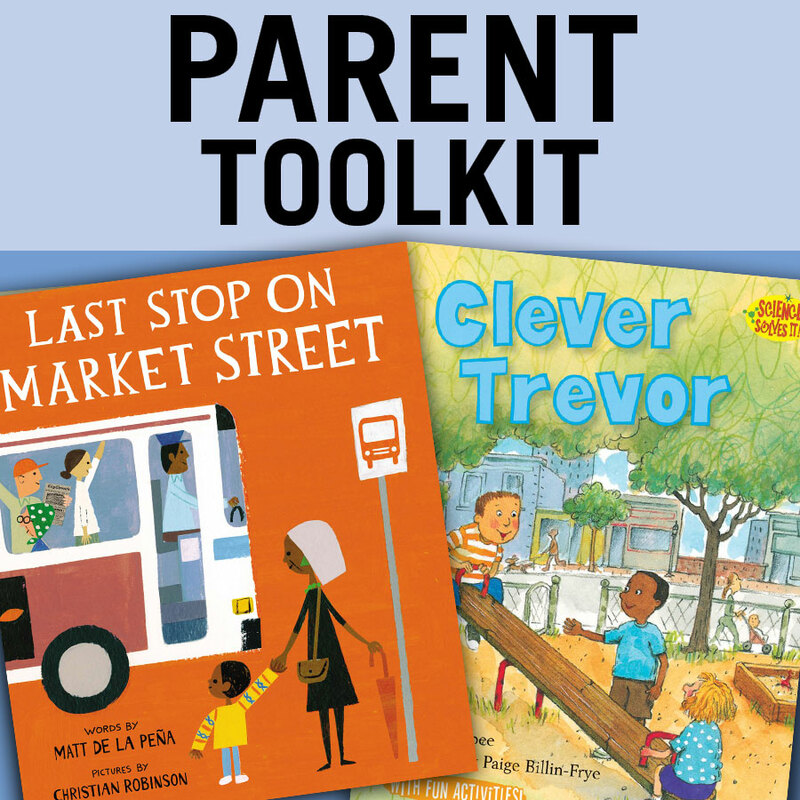 Visit the Real Men Read Parent Toolkit. "The kids were all so excited when I told them that I had a book for each of them...that they could keep. One little boy was so grateful that he wanted to give me a hug before I got out of the room. Thanks for your support of this great program." Of course, we were excited when a Real Men Read MENtor told us this after his recent time in a classroom. Real Men Read is bringing a real love of reading to Spencer Owen Community Schools kindergarteners. Did you know that a child's education begins before they even start their first day of school? Or that early education in the home and during the first years of formal schooling has a measurable and lasting impact in the child's life and the community? In fact, building strong literacy skills during this time is crucial to a child's future school success. That's why we have partnered with 50+ Men Who Care, Boston Scientific, Duke Energy, Owen County Community Foundation, Greene County Community Foundation, and South Central Indiana REMC to launch Real Men Read at Eastern Greene Schools, Richland Bean Blossom Community Schools, and Spencer-Owen Community Schools. 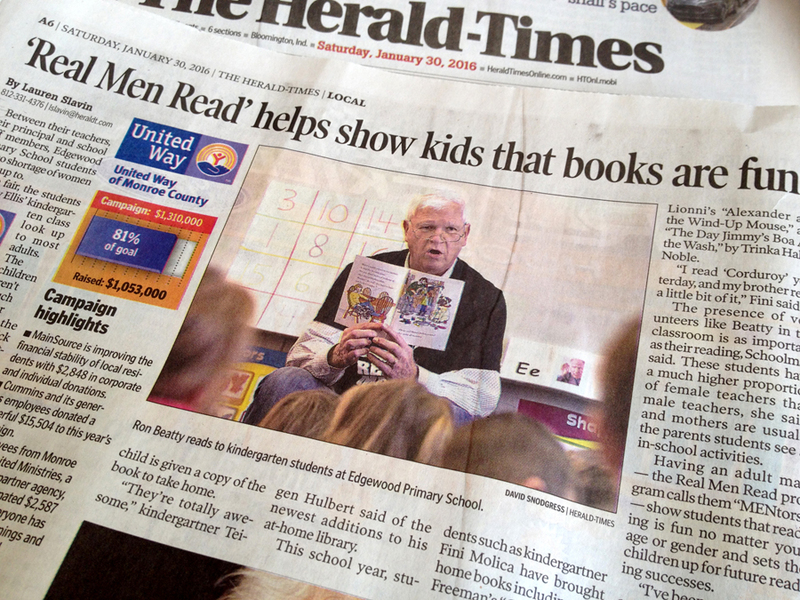 Real Men Read is a volunteer-driven program that brings male MENtors from the community into kindergarten classrooms to read five different books throughout the course of the school year. The kindergarteners receive a book during each visit to build their own home libraries and share with their families. The intangible benefits are even greater. Since men tend to be seen as less involved in elementary education, spending time sharing books with a male role model allows all children to connect with the world of reading in a new and special way and encourages boys to see reading as something that guys enjoy too. 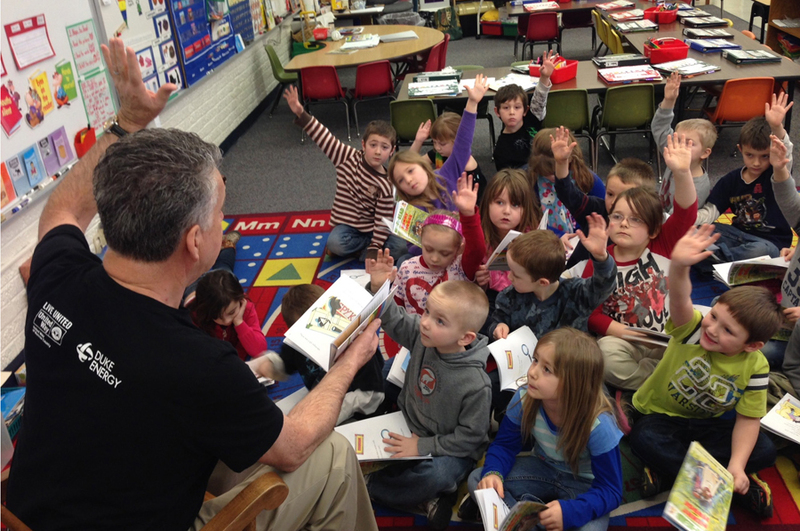 Kindergarten is a great access point for early intervention among struggling emergent readers. For children who do not come from literacy-rich homes or attend preschool programs, it may be their first substantial exposure to the building blocks of reading. United Way is proud to provide extra opportunities for all children to spend time in positive, nurturing learning environments. We continue to look forward to Real Men Read assisting with our early education initiatives and to the partnerships and collaboration that grow in the schools that we serve. 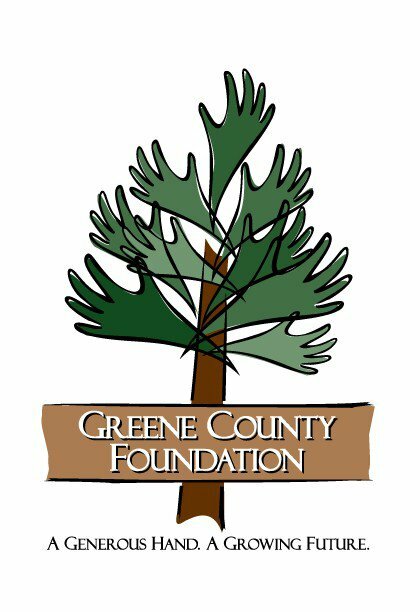 If you are interested in becoming a Real Men Read sponsor, contact Amy Leyenbeck at (812) 334-8370 ext 11 or amy (at) monroeunitedway.org.